In this day of A380's and Changi's terminals it is easy to forget how far travelling by air has advanced in a very short space of time. 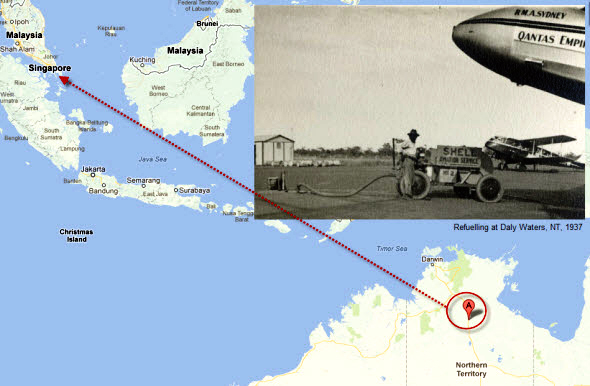 This image shows a refueling stop in Australia's Northern Territory. In 1937 when this photograph was taken aircraft has to stop several times on long flights to refuel. It was only two years earlier, on 7 April that Qantas operated its first overseas passenger flight from Brisbane to Singapore. It was a four-day trip in those days and the aircraft (partially pictured at right) was a four-engine DH86. Demand for the service was such that two years after this journey was captured on film the DH86 was replaced by Short C Class Empire flying boats, which also operated out of Sydney. 1937 was clearly a watershed year in Singapore aviation as the Wearne Brothers launched the first commercial air service between Singapore and Malaya that year using a de Havilland Dragon Rapide aircraft called (quite appropriately) the Governor Raffles. 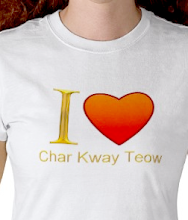 It flew from Singapore to Kuala Lumpur and Penang. It was also the year that Amelia Earhart departed from Lae in Papua New Guinea en-route to Howland Island. She never made it. No Frequent Flyer points in those days and only the well-to-do could afford air travel. Qantas has also become an airline consigned to Singapore's history as it recently stopped flying there, preferring instead to go through Dubai. 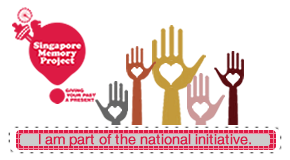 I am somewhat gobsmacked by a report that claims that 64% of Singaporeans don't feel positive or negative emotions on a daily basis. "Singapore is the most emotionless society in the world, according to a new Gallup poll, beating the traditionally po-faced Georgia, Lithuania and Russia in a survey of more than 150 nations" states the article. Clearly the writer has not had a recent conversation with the locals about "foreigners" who fail to observe local customs and courtesies, nor the relative merits of chicken rice at recommended eateries. Such topics tend to raise the temperature both literally and figuratively. 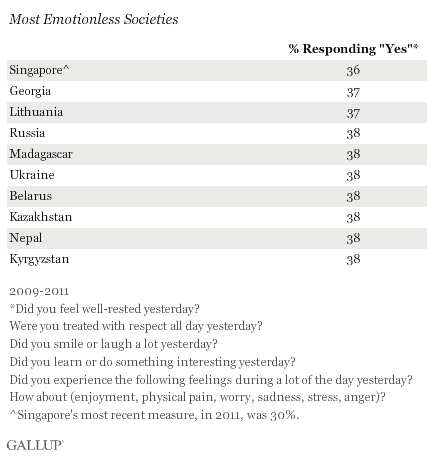 The counter balance in Asia is the Philippines which apparently is the world's most emotional society. Having seen the excesses of the Marcos shoe collection I can well believe it! Not that the collection is much of a national treasure these days as it has molded away due to neglect. Mind you, just look at the questions: Did you feel well rested yesterday? My answer would probably have been: Yesterday has come and gone - I deal with today. 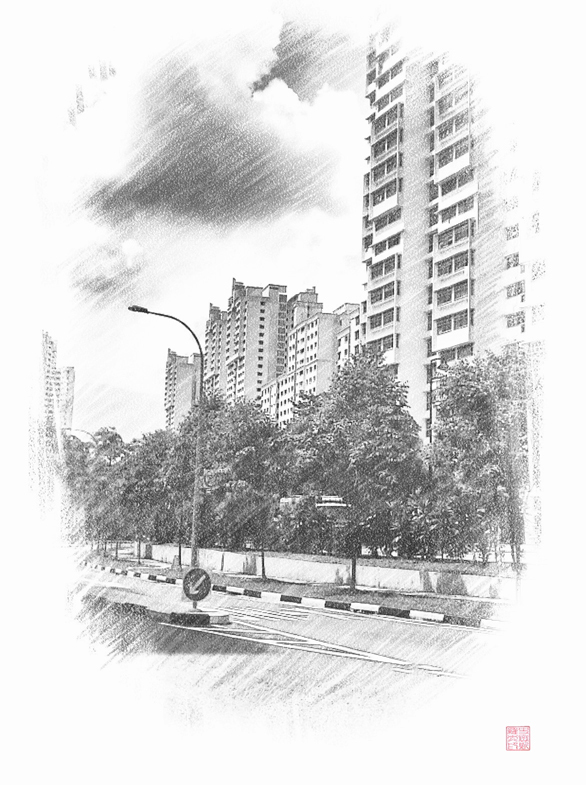 Well rested; well I was on a packed MRT coming into work after two bus trips to get the station, what do you think? But does this response make me less emotional than my fellow passengers - I don't think so. One has to wonder at the vitriolic commentary being directed at Singapore by associates of Yale University in recent times. While it is common knowledge there is an academic faction that believes a campus of their ivy league institution should never have been established in Singapore, more moderate and balanced individuals can see the benefits to both parties. The latest attack is an attempt to try and shift the blame of the latest Arab-Israeli war on Singapore! The aptly named Jim Sleeper attempts to link recent survey results that found that Israel was world's most and Singapore the second-most, with the current spat between the two Middle East neighbours. And for good measure he also insinuates that as both Israel and Singapore are 'non-Muslim' countries there is some form of joint agenda or perspective. Clearly he has never lived in Singapore nor appreciated the efforts that the country makes to assimilate its cultures and give all races and ethnicities a fair chance at succeeding in life. To label, as the writer does, Chinese Singaporeans as the "Jews of South East Asia" and fire a cheap shot labeling Lee Kuan Yew as a "virtual dictator"aptly demonstrates the personal bias of the article but it is not until we get to the later paragraphs do we fully appreciate that this is indeed another sniping at Yale's association with Singapore. "Can any liberal democracy ever hope to flourish while pacing a gilded but iron cage?" What is so wonderful about the "liberal democracy" that this Yale academic is so hell bent on defending? Why is it I wonder that I saw US Vets and mental release patients scavenging in rubbish bins on the streets of San Francisco and I never experienced the same in Singapore? Why is the USA is the economic doggy-doos and Singapore remains economically buoyant? Perhaps the much vaunted 'liberal democracy' is not all that it is cracked up to be by political scientists such as Sleeper. And yes, Singapore did seek the advice of the Israeli military when it set up its own forces after the British departed, but this is hardly a crime. Faced with very real threats from Indonesia and communist insurgencies there was an urgency to depend the fledgling nation and who could blame them for that. I personally wish Yale in Singapore every success as it will be mutually beneficial to both, just as it has been for other universities who have forged strong bonds with the country. Jim Sleeper: Blame the Latest Israel-Arab War on .....Singapore? At first glance this photo seems to suggest that some of the large, fluffy clouds that congregate in tropical skies each afternoon, have fallen to earth. Or maybe a neighbour in one of the higher-level HDB's had put too much soap powder into their washing machine, with dire consequences for those who live below. 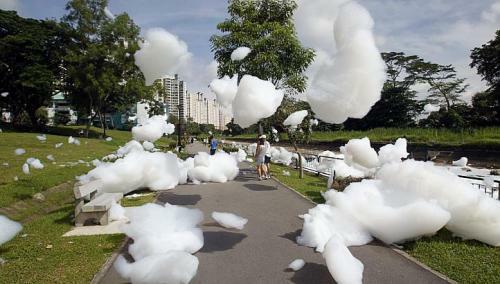 The truth of the Choa Chu Kang foam is not that far removed from the fiction. It would seem that 70 barrels of detergent-based concentrate were stored in a warehouse that caught fire. Three quarters of these barrels were damaged and when the fireman quenched the flames, and water from the hoses was added, instant foam was the result. The soapy mix also contaminated a stretch of the nearby Pang Sua Canal from which water is taken for recycling and is treated for human consumption. The event reminds me just how precious a commodity water is and how Singapore is a world leader in water conservation and recycling; NEWater being a case in point. The country has four operational NEWater factories, at Bedok, Kranji, Ulu Pandan and Changi producing potable water that is treated from sewage waste water and made fit to drink. Singapore is now taking the eco-process one step further by having the water treatment plants powered by solar energy - a clever marriage of green technologies. 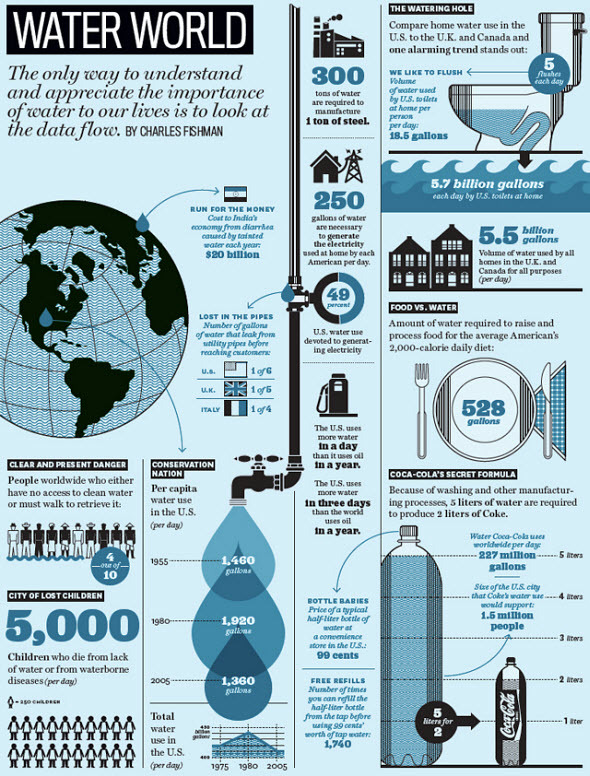 And if you ever doubted the importance of water and its conservation consider this article (and the infographic below) from FastCompany that highlights how important water security is to business. "If there is one truly arresting sign that our relationship to water is about to shift in fundamental ways, it comes not from the world of science or climatology, not from United Nations officials or aid workers desperately trying to get water to people in developing countries. It comes from businesses like Michell Wool and other corporations with water-intensive businesses, such as Coca-Cola but also those whose water dependence is less obvious, like GE and IBM. They all have that same tickle of anxiety about water security. For business, water management is fast becoming a key strategic tool. Companies are starting to gather the kind of information that lets them measure not just their water use and their water costs but also their water efficiency, their water productivity, how much work they get from a gallon of water, how much revenue, how much profit." 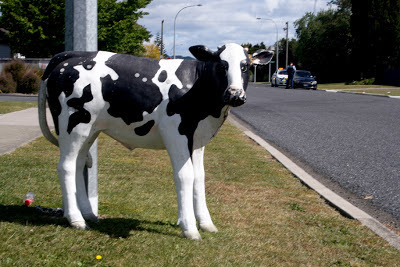 To say Whakatane on New Zealand's East Coast is a one-horse town is a gross exaggeration There is at least one cow as well, albeit a plastic one outside the local vet's practice. 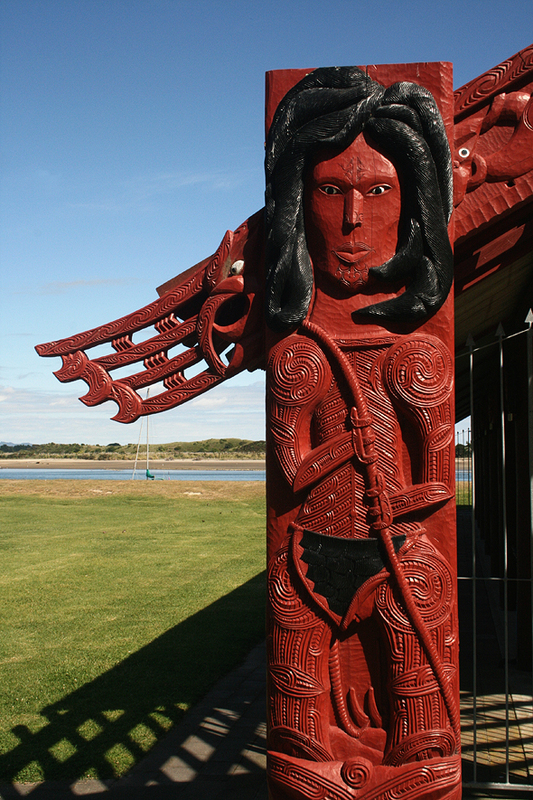 We arrived after a four hour road trip from Auckland. What a lovely climate the place has and of course the people are very friendly as you often experience in the rural hinterland. Locals took the time to tell us where the best places were to go for sightseeing and fish and chips. The latter being some of the best in New Zealand as there is a fishing industry based in Whakatane and the seafood is literally the catch of the day. The weather has been typical of late Spring with warmer temperatures but cooler nights. Thankfully there is no rain to spoil the holiday break. Although it is nearing the end of the whitebait season there are still some keen fishermen lining the banks of the river that reaches it mouth East of the city boundaries. It seems that the old method of catching the small delicacy remains the same as it was when I was a boy in Waitara. I used a painted whiteboard weighted down just below the water's surface so that you could see the whitebait as they hugged the banks on their run up river. 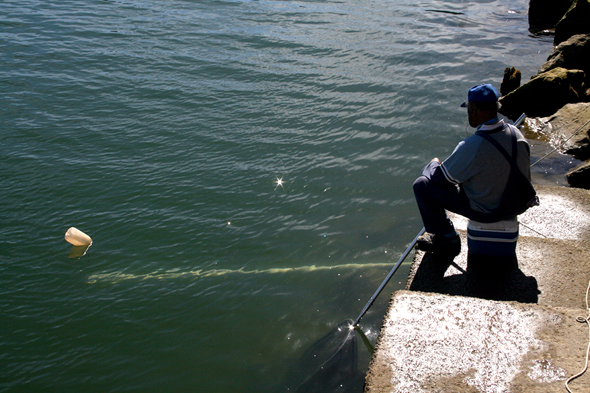 This fisherman is using exactly the same method with his scoop net at the ready. He caught less than a quarter of a cupful as we watched, before we moved on. Not that I am overly interested in either of the two personalities that are striving to sit in the Oval Office after next week, but I do find this ever-changing polling graph of interest. The margin between the two candidates seems incredibly small if such polls are to be believed. Although the chart is labelled 'Really Clear Politics' the reality is that politics are usually anything but clear. It is the nature of politics that there are winners and losers but which ever party gets in, America has a tough road ahead. Of significantly more interest to me is the change in Chinese leadership that is taking place at the moment. What a contrast in style it is from the hoopla experienced in the USA. The Straits Times has an excellent section on the issues and the challenges that they face. They are labelled the Lost Generation because of what they missed out on during Mao's Cultural Revolution. As correspondent Peh Shing Huei puts it, they had no childhood, no education, no family and, in the eyes of many, never felt happiness. How has this shaped their attitudes, their global vision and their capability to take on the challenges China faces. We shall have to wait and see. The reins will be handed over on November 8th to Vice-President Xi Jinping, Vice-Premier Li Keqiang and other members of the fifty plus generation. First they will need to navigate their way through the shoals of factional in-fighting and it will be 350 top cadres of the Chinese Communist Party who decide the final make up of the top table. It is a once-in-40-year coincidence where both the China and US leadership changes at the same time. It all makes for an interesting month or, if politics is not your thing, switch to the Shopping Channel. Is China more democratic than the West?